Posted on April 4, 2019 at 2:46 pm. 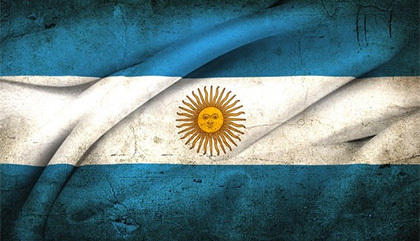 BUENOS AIRES has taken a big leap towards setting a huge precedent throughout Argentina when it moved to formally legalise and regulate online gambling this week. On Monday Maria Eugina Vidal, the Buenos Aires mayor, signed Decree 181 which legalises online casino games, sports betting, poker and horse racing gambling. To say this is a momentous occasion for Argentina’s gambling industry is the understatement of the century. Buenos Aires is Argentina’s capital and with its own population of 16 million people, is bigger than many Latin American countries. While other smaller provinces within Argentina have legalised gambling, the move from the nation’s biggest economy will almost certainly lead to the majority of the country following suit. The move by Vidal has been credited as another important step in restoring the nation’s flagging economy, that has taken more than 15 years to recover from its financial crisis of the early 2000s. Predictably, like we have seen with the USA’s spread of legalised gambling, local sporting organisations are jumping at the chance to join in. Argentina’s biggest soccer league, Superliga, is looking for a cut of any wagering made on the competition. Nicolás Russo, President of Lanús FC and a member of the AFA’s executive committee, mooted heavy lobbying ahead. “We won’t rule out taking forceful measures,” Russo said.